Compare the 2016 Nissan Rogue to the Competition in Hartford, CT! Boasting smooth performance, rock-solid fuel economy, stellar technology and advanced safety features, the 2016 Nissan Rogue is truly quite the catch. The 2016 Rogue proves to be a real game-changer for drivers throughout New England, especially when compared to competing crossovers. See how the new Rogue stacks up against vehicles such as the 2016 Ford Escape, 2016 Hyundai Tucson and 2016 Honda CR-V, then come test-drive it for yourself at our Hartford, CT, Nissan dealership to see it in action! With as many crossovers on the market as there are, it may seem like a challenging task to find the right fit. However, once you start peeling back the layers and do some research, the 2016 Nissan Rogue quickly becomes a clear-cut winner. You get plenty of bang for your buck, as the Rogue sells for less than, or about the same price as, the Escape, Tucson and CR-V, but includes many more benefits. With 170 horsepower and a fuel economy rating of up to 33 highway mpg, the powertrain in the Rogue gives you performance numbers that are simply hard to resist. You also get standard tech features like LED daytime running lights, a RearView Monitor and an Advanced Drive-Assist® Display, meaning your car is well ahead of the curve. You have an abundance of options when it comes to outfitting your Rogue, so explore the available features more in depth to find all it has to offer. The 2016 Nissan Rogue has also earned a 2016 IIHS Top Safety Pick and was named Family Car of the Year by Cars.com, making it a flawless choice for drivers everywhere. 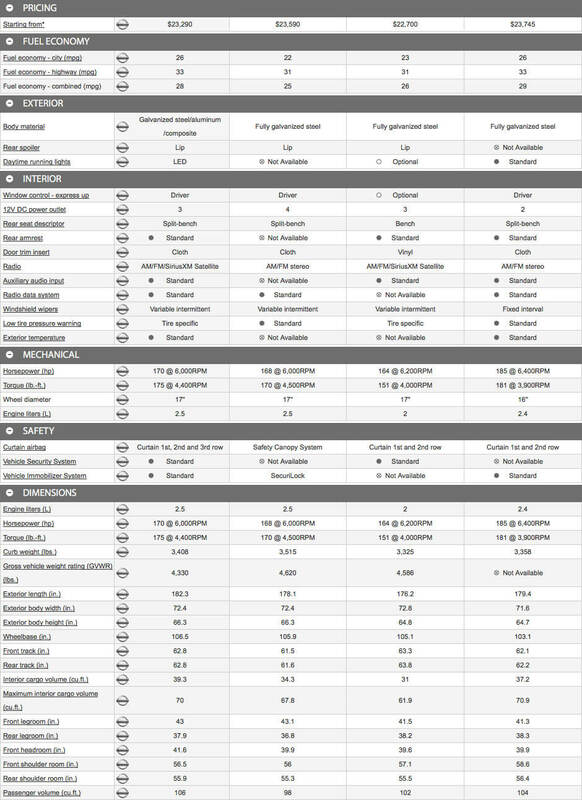 View the comparison chart below to see all the advantages the Rogue holds over its rivals, and come buy or lease your own model at Harte Nissan when you're ready!